The Senate returns from recess; the House is still out until April 12. The Senate will vote on a bill to allow companies to sue for theft of trade secrets. It may also vote on reauthorizing the FAA through 2017. On Wednesday, the Administration will release the final "Fiduciary Rule" for investment advisors. New Protections for "Trade Secrets"
The bill would allow companies to bring a civil suit against parties they suspect have stolen "trade secrets." Right now, only the Department of Justice can pursue trade secret theft in federal court, though several states have laws allowing private action. The bill would "create a new private right of action by modifying the Economic Espionage Act (EEA)" and create a federal standard for what constitutes a trade secret misappropriation, while leaving state standards intact. (source: Bloomberg BNA). Read legal analysis from Jones Day. What is a "trade secret"? (1) information; (2) that someone has taken reasonable measures to protect; (3) which derives independent economic value from not being generally known. Examples: plans, designs, negative information, computer software, customer lists, non-public financial information, cost and pricing information, manufacturing information, confidential information about business opportunities, and certain personnel information. On Wednesday, the Obama Administration will release the final "Fiduciary Rule," requiring brokers to take the best interests of their clients into account when recommending investments and to disclose fees or incentives that could influence their recommendations (Source: Bloomberg). As we shared in March, opponents say the rule would increase regulatory costs and discourage financial firms from serving lower-income clients. 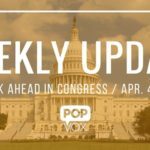 The House has passed a bill from Rep. Ann Wagner [R, MO-2] to delay implementation of the rule (H.R. 1090), and is expected to take additional action once the rule is released. Speaker Paul Ryan has already issued a statement expressing his opposition, and even hinted: "Stay tuned for more Congressional action." President Obama is expected to soon sign a short-term extension of the FAA that recently passed Congress, allowing three months for the House and Senate to work on a compromise between their two approaches. Calling for a cost-benefit update on the implementation of the NextGen air traffic and communications system. Some senators may look to attach stronger screening requirements in the wake of the Brussels attacks. Did the Senate just get a SERIOUS tech upgrade? Actually, no. That's the Edward M. Kennedy Institute for the U.S. Senate in Boston, which has a full-scale replica of the Senate Floor and Gallery — with a few extra gadgets, screens and electronic voting that the real Senate lacks). Visitors and students become "senators" during their tour; they debate and vote on bills, with a new (real) pending bill featured each month. 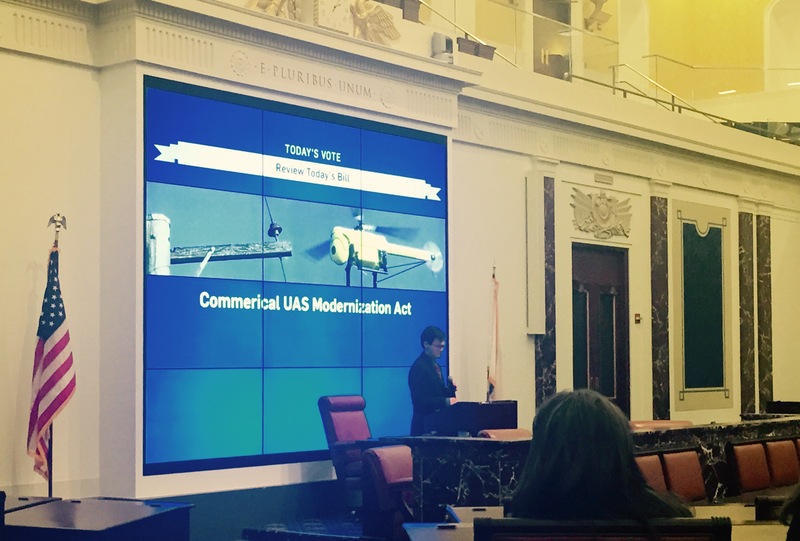 This month, the Commercial UAS Modernization Act (S. 1318) is featured.